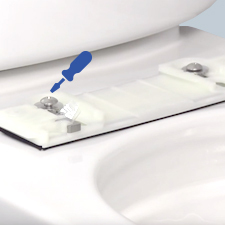 Bidet seats are a great way to upgrade your toilet to a bidet toilet without having to remove the whole unit. You save money and you save the hassle of having to take out and install a new toilet. Installing a bidet seat is very simple. You don’t need any fancy tools other than a screwdriver and wrench. 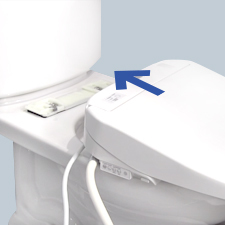 When you purchase a bidet seat it would already come with all the parts (like a t-adapter) that you will need to install the bidet. It would also come with some instructions. But here, we’ll teach you how to install a bidet seat in 5 simple steps. Step 1 – Remove your old toilet seat. You can do this by unscrewing the bolts on your existing toilet seat. 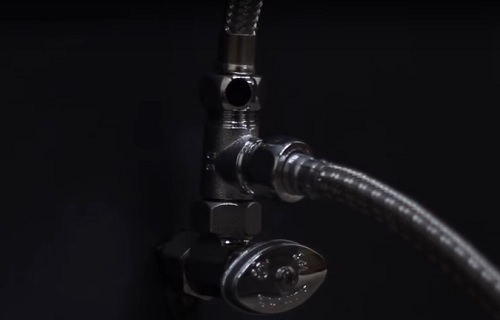 Step 2 – Connect the water source. First, shut off the water supply to your toilet. You can do this by turning the shut off valve located next to your toilet. Once you turn the water supply off, drain the toilet tank completely by flushing. Then disconnect the toilet tank supply hose. Step 4 – Attach the seat. After you attach the seat you can plug it into your electric outlet and turn the water supply back on. Step 5 – Check for leaks. Make sure that the supply hoses are not leaking. Tighten any loose parts if necessary. If you don’t already have a ground-fault circuit interrupter outlet near your toilet to plug in the bidet seat, you will have to install one. Consider hiring an electrician to do the job. I like how you explained how simple the installation process for a bidet is. My mother just got back from Europe and is adamant to have a bidet in her house now. My father will happy to hear that it won’t take more than a wrench and screwdriver. He’s not very mechanically inclined and doesn’t have many tools either. Thankfully, he has those.